About Us - PPP, Inc. 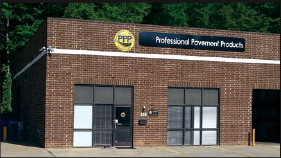 Since 1996, PPP, Inc. has been dedicated to delivering the highest value Products, Service and Knowledge in the Traffic Safety industries. Even with an ever-growing catalog of innovative products, we strive to be your partner in success. requires a combination of three treatments: Design safer cars, improve driving behavior, and of course, create safer roads. to glorify Him. This company ultimately belongs to God and it is our desire and responsibility to properly manage what has been entrusted to us. We urge you to hold us accountable if ever our actions are inconsistent with this foundation. What: Provide the World with affordable, innovative transportation safety solutions that effectively save lives and reduce injuries. How: Discover and developing, through invention and innovation, effective solutions that overcome the barriers of economy and geography. Why: From a Biblical perspective we are to love our neighbor. To love them is to hold them precious and protect them. Therefore we are obligated and commanded to use our skills, talents, expertise, and position in the platform of this industry to do just that. 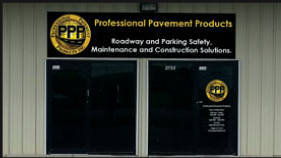 PPP, Inc. is an industry leader in roadway safety solutions. We have distributed more than 800 different products to 1,200+ cities, 50 states and over 75 countries. Now Carrying over 800+ products!